News - Hourigan & Co.
Today’s big story is that Osama bin Laden is dead. If you’re already feeling a pang of loss at the West’s major enemy now being kaput, keep a look out for our new thriller out this month. 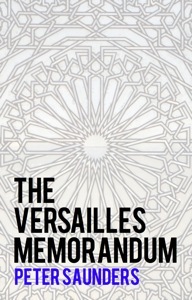 The Versailles Memorandum, by noted liberal intellectual Peter Saunders, is a dystopian future history where significant portions of Western Europe have come to be ruled by Sharia law. In it, bin Laden survives to becomes the president of the Islamic Republic of Arabia in 2017, and continues to terrorize the West. The novel, Saunders’ debut, will be available for the Kindle and other mobile devices on the Amazon store later this month, with an iBooks release to follow. Welcome to a new era in publishing. The digital age is upon us. hourigan.co is an international, electronic-only publisher of ebooks and music. Our mission is to give artists around the world access to the vibrant global electronic markets for their work. When you can, change a word to one with less syllables but the same meaning. I’m also quite happy to follow copywriters’ rules and start sentences with “but” or “and” when it helps to break long, multi-clause sentences into more readable chunks. Here, it’s better to change what would ordinarily be the second “but” to “However,” to avoid repetition. This shows that while it’s good to have a clear set of rules to edit by, it’s also important to keep looking for places where breaking them makes the writing better.